Previously when I met Mr. Atul Garg manager of Shivam Publications and my best friend, discussion started and we talk about Indrajal and he asked me to write Indrajal in simple words so that common man may know it and also get profited by it. 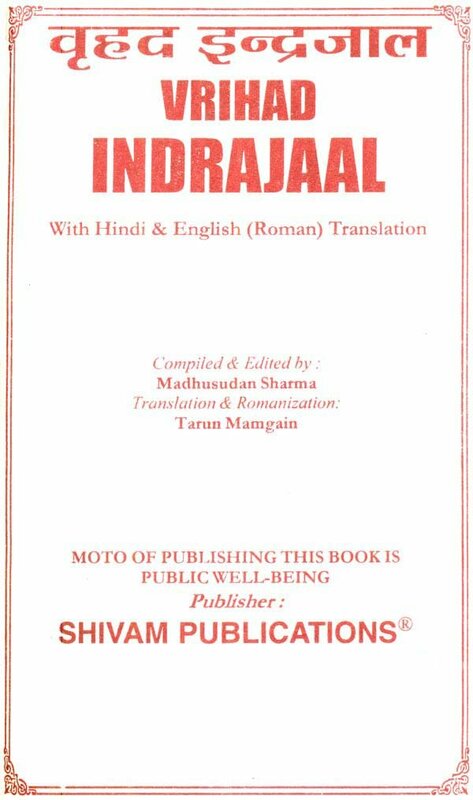 In fact, Indrajal originally has been written in Sanskrit language, which is created by ‘Trimoortiswroop’ Shri Dattatrey. Lord Shiva had given the knowledge of Indrajal to Dattatrey. Originally this Tantra epic is the dialogue between Lord Shiva and Dattatrey. In Indrajal beside ‘Shatkarma’ (‘Shantikarma’, ‘Vasheekarana’, ‘Stambhana’, Vidweshana’, ‘Uchaatana’ and ‘Maarana’) ‘Kautuk’ (wonderful magic tricks) are also described. Shri Dattatrey had written this knowledge which was in the form of millions of Shlokas of Tantra which we had achieved from Lord Shiva. For the benefit of the people in this Vrihad Indrajal some ‘Shlokas’ from these millions of ‘Shlokas’ have been culled out of the benefit of the people. Shri Dattatrey was the son of Attri Muni and elder brother of parshuram. Later the epic which was written by him also established by the name Dattatrey Tantra. 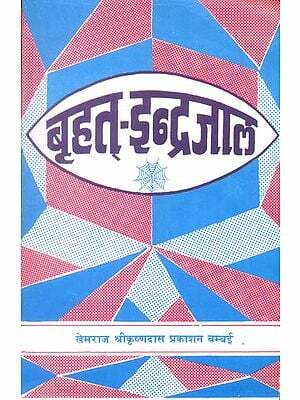 The aim of this book is to destroy people’s ill thoughts which they have for Tantra. People think that the Tantra is the harmful knowledge but actually Tantra is a beneficial knowledge and it has its relation with veda also, because Guru of deities Brihasptiji has given its knowledge to Indra (king of deities). In ‘Shatkarma’ there is special significance of ‘Mudra’, ‘Aasana’, ‘Disharyaan’, ‘Mala’ etc, with all this direction of Guru is also essential in the successfulness of ‘Shatkarma’. It can be harmful to apply any technique only by reading it from the book. Tanta is a deep knowledge. Its effect is very strange. Lord Shiva nailed them so that no one could harm any body, but due to the request of Dattatrey he un-nailed them, so that in Kalyuga people may be profited. 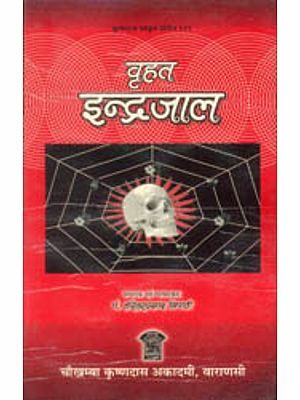 Instruments, Spells and Techniques which have been given in this book are self accomplished so there is no need of doing special endeavor but beware instruments, spells & techniques which are given in this book should be used for the benefit of others otherwise misuse can be harmful. Publisher, Editor, Compiler and presenter will not be responsible for it.